Nigerian singer, Davido who on Sunday won Best Worldwide Act and Best African Act at the 2017 MTV EMAs, has announced the signing of rapper, Perruzi to his DMW record label. 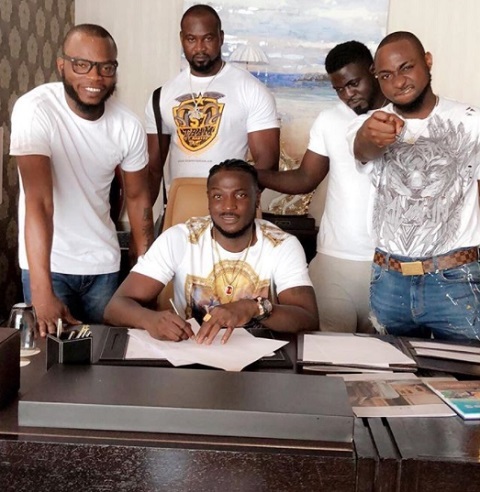 The DMW boss announced the signing of his newest act, Peruzzi, via his Instagram page, saying he is “very excited”. Davido on Sunday won Best Worldwide Act and Best African Act at the 2017 MTV EMAs but was snubbed by the All Africa Music Awards (AFRIMA) which held on the same day.